In addition to my writing, I'm also a major Colts fan. 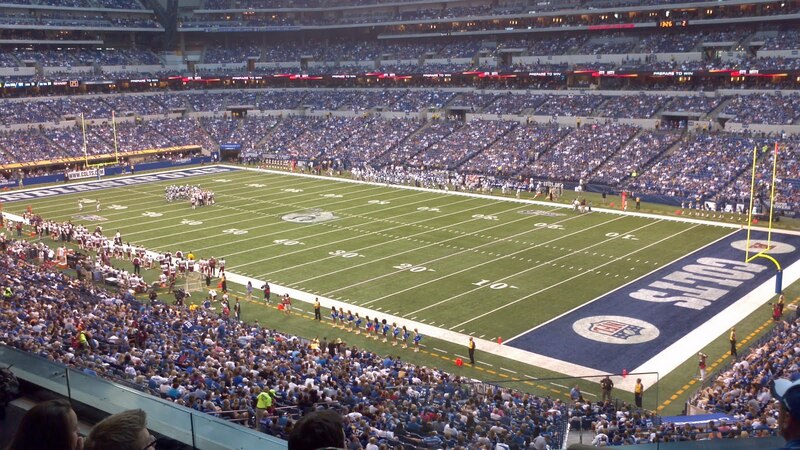 This week, I won a Twitter contest from Colts owner Jim Irsay and scored tickets to last night's preseason game against the Washington Redskins. From here, you could TASTE the offensive ineptitude. The Colts scored three measly points, more or less allowing the 'Skins to have their way with them. The highlight was Adam Vinatieri's 55-yard field goal. Mr. Clutch has still got it. Oh! Oh! 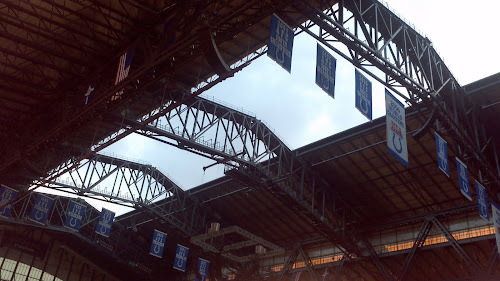 They also had the roof open! 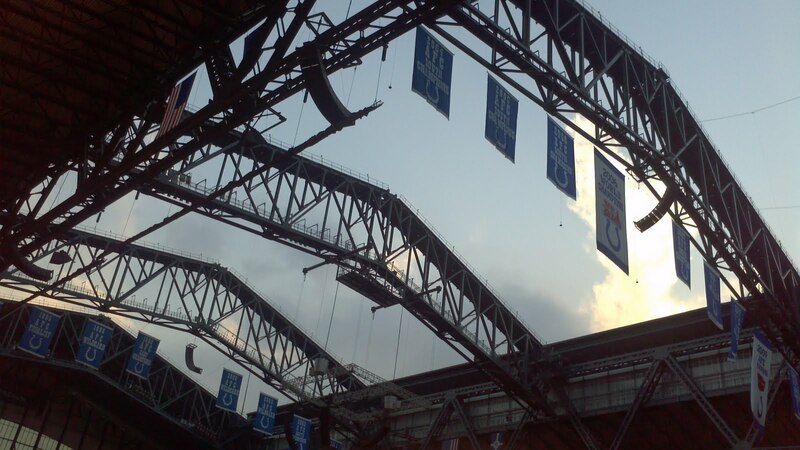 But then Peyton craned his still-recovering neck and saw clouds. 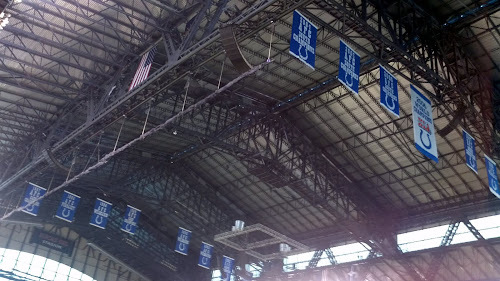 Thus, Peyton commanded that the roof close. And thus with his mighty powers, was it so. Ten hours later, the roof was finally closed. 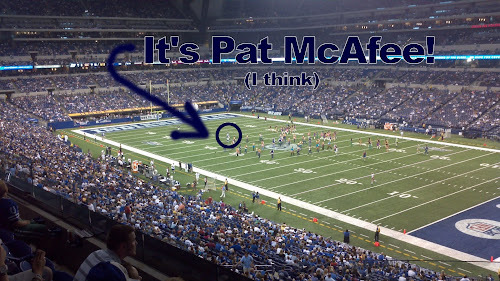 Pat McAfee got quite a bit of work during the game. I got up close and personal with him at halftime. The arrow covers up Vinatieri. This was unintentional.